I have been a fan of Avon for as long as I can remember. For a lot of us, Avon was our first introduction to the direct sales industry! 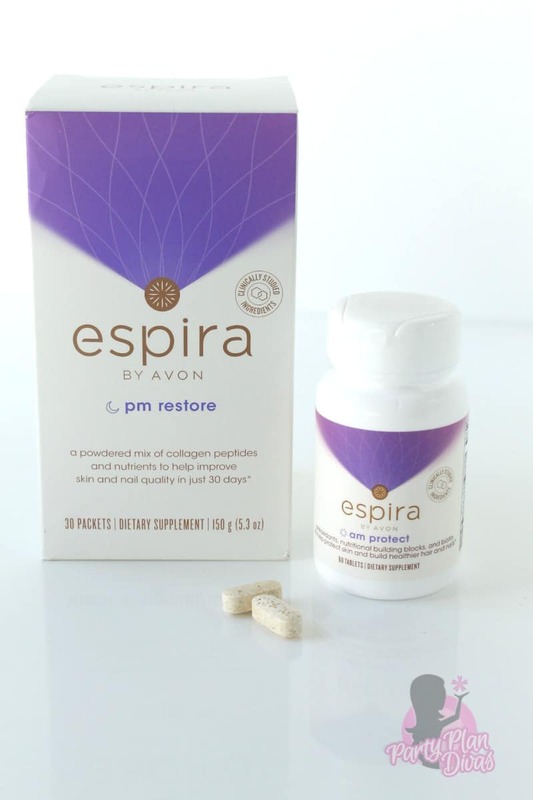 With the introduction of the new Avon Espira Health & Wellness Line, Avon prooves yet again why they are one of the top companies in the industry. For more than 125 years Avon has been providing some of the best products and business opportunity available. Recently Avon has introduced the new Avon Espira Health & Wellness Line and I was super excited to get to try it out for this year’s Diva Holiday Gift Guide. 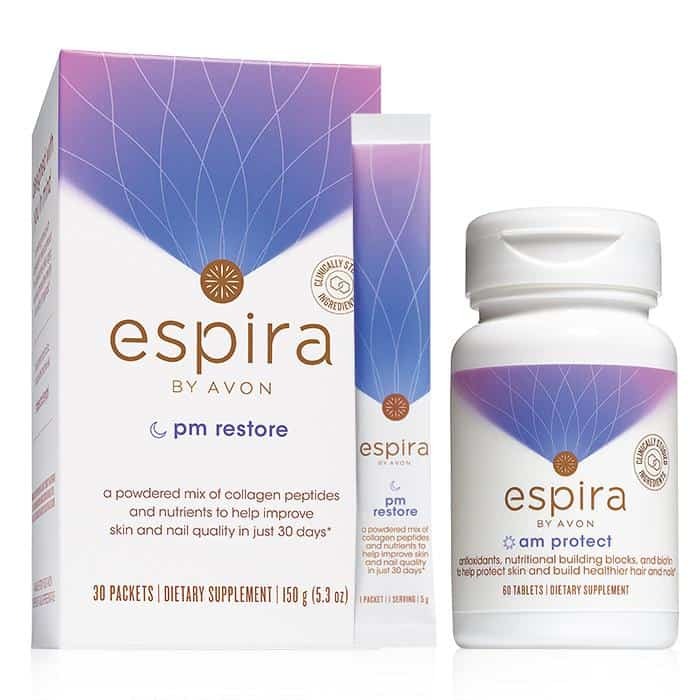 The Avon Espira Product Line offers products organized into three main wellness needs: Boost, Glow, and Restore. Each product is formulated with a unique purpose to help you look and feel your absolute best. Independent Avon Representative Cam Jolley sent in the Espira Beauty Inside and Out System from the Espira Glow Product Line. The set includes the AM Protect Tablets and PM Restore Drink Packets. Used together this powerhouse system will enhance overall appearance of hair, skin and nails in as little as 30 days. I have begun taking this combo, and I am beyond excited to see how my hair looks in 30 days! I have read incredible things about the health benefits of Collagen Peptides and I am super excited to get them in this super simple system. With a very affordable start up investment you can become an AVON Representative and transform your life with the opportunity to make a commission from your sales using the Campaign Brochures and Online orders. You can join Cam’s team and together with the Avon Staff, she will help you with all the information and tools necessary to successfully get your business underway. With gifts, fragrances for men and women, jewelry, bath & body products and even children’s products, you can be sure that AVON has you covered for everyone on your wish list. Check out Independent Avon Representative Cam Jolley’s website to see all that Avon has to offer for everyone on your shopping list this holiday season! 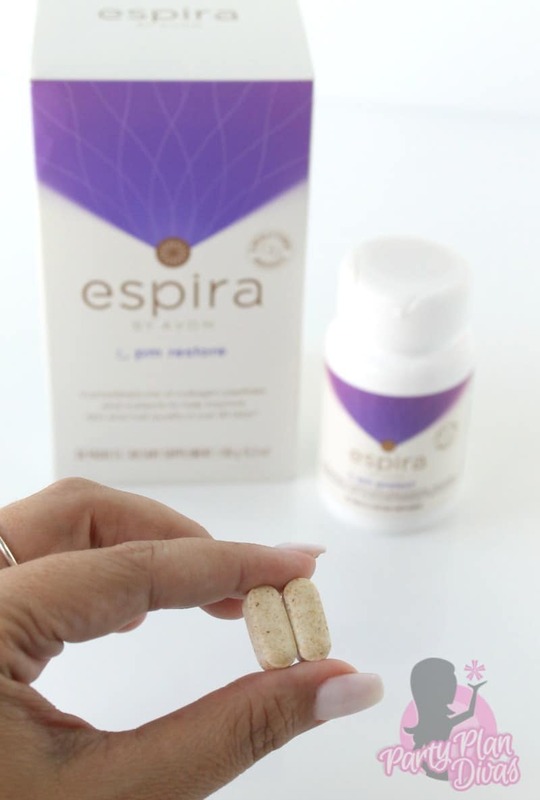 I am super excited to share that Independent Avon Representative Cam Jolley is offering one lucky reader your own set of the Espira Beauty Inside and Out System from the Espira Glow Product Line!